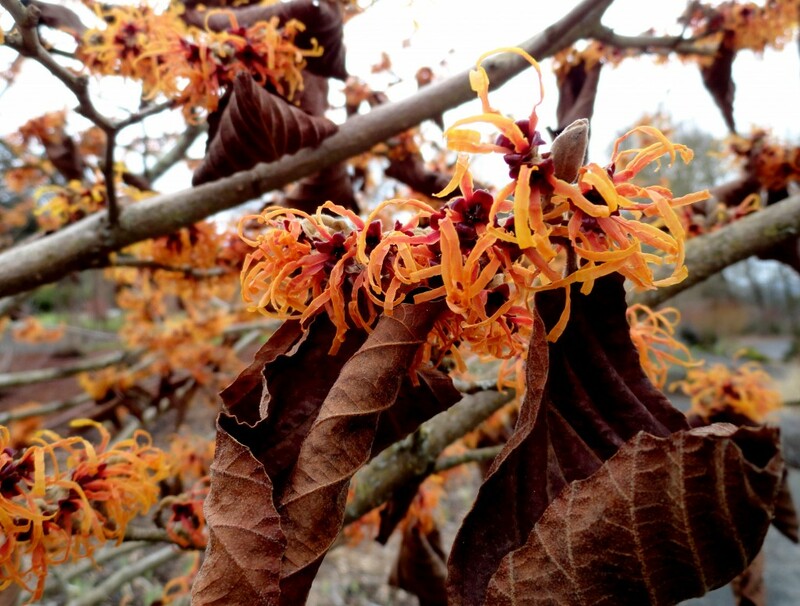 Think back to the first time you saw a Hamamelis (witch-hazel) in bloom. Did you think “wow, that’s beautiful!” or were your thoughts more along the lines of “what’s that freaky thing?” Don’t get me wrong, I love them, but they are rather bizarre, like colorful crinkled up ribbons tied on bare branches. 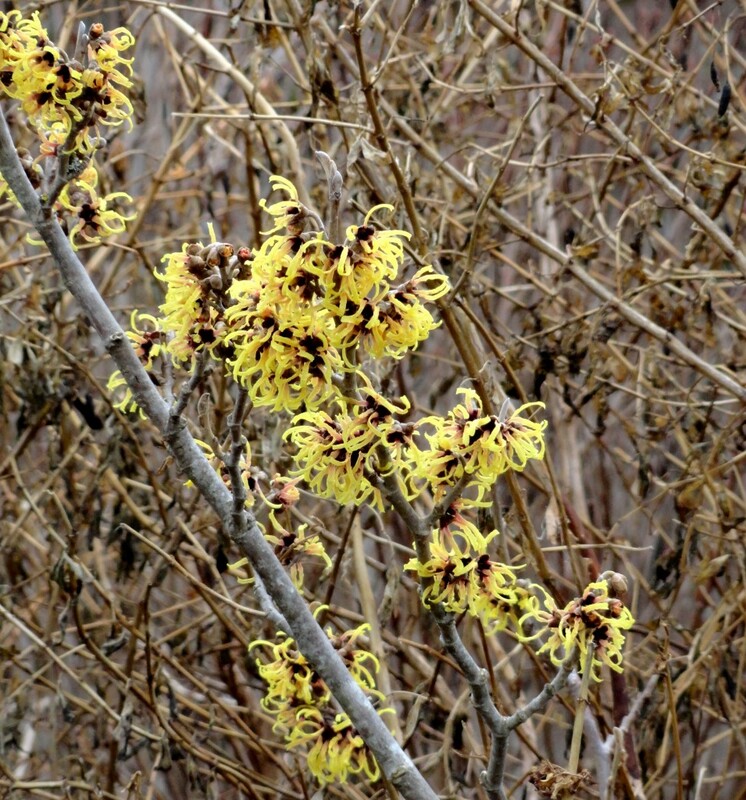 I somehow made it into my 40’s before seeing a blooming Hamamelis. How is that even possible? It was another year or two before I noticed that fragrance you hear so much about — I think I’ve got a pretty good nose but I just didn’t smell a thing. 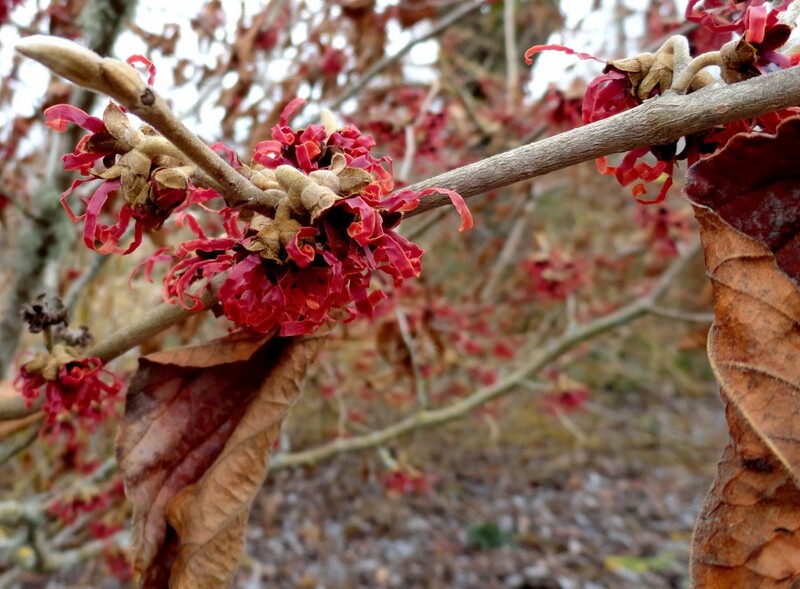 I guess this holding-on-to-last-years-leaves while busting-out-in-bloom thing isn’t that uncommon? 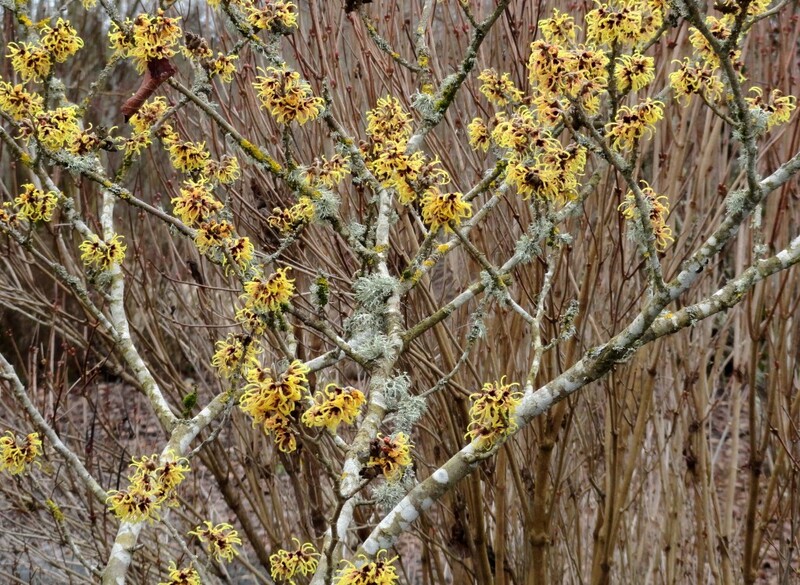 Mine (Hamamelis x intermedia ‘Early Bright’) is doing it this year. 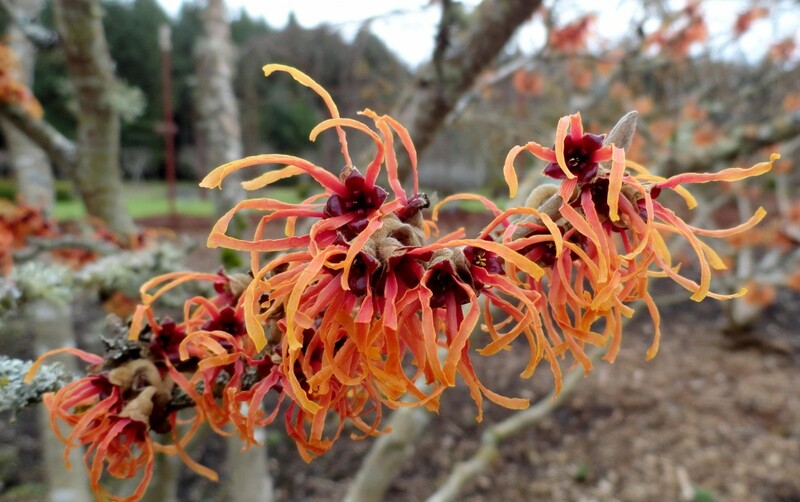 So why did it take me so long to discover Hamamelis? I wish I knew. I grew up in a colder climate (USDA Zone 5) than the one I live in now, so I thought maybe they just weren’t cold hardy? 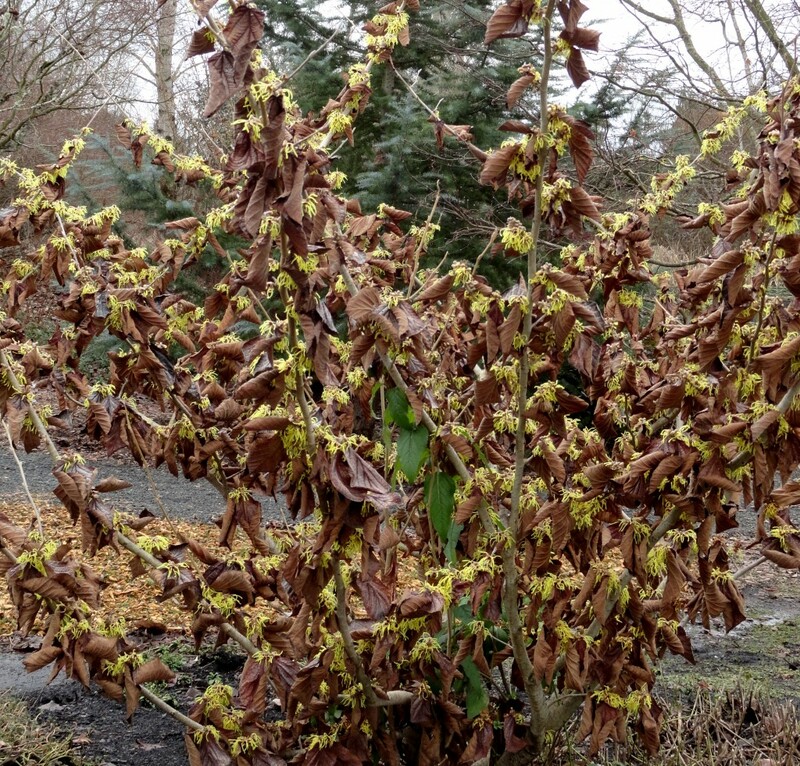 Nope, plant lust lists plenty that are fine to Zone 5 and even a few that can tolerate colder temperatures. 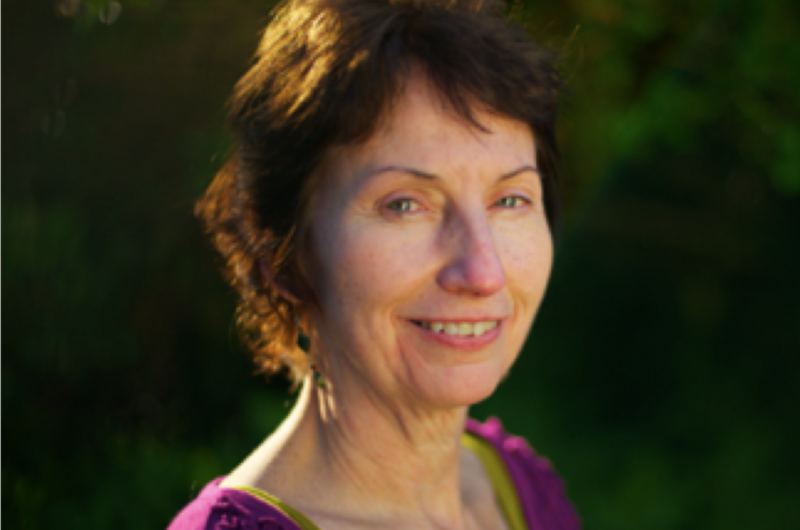 It was at Portland’s Elk Rock Garden, the garden at the Bishop’s Close, that I first caught a hint of that perfume. Walking through my neighborhood nursery, Garden Fever, almost a year later I was hit by a similar scent. 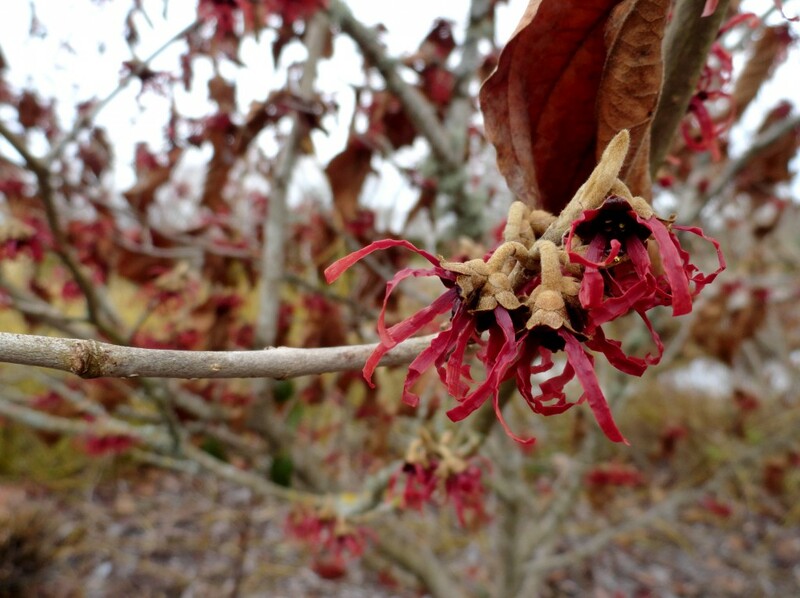 That’s all the push I needed to finally add a witch-hazel to my garden — that plant became mine without a second thought. 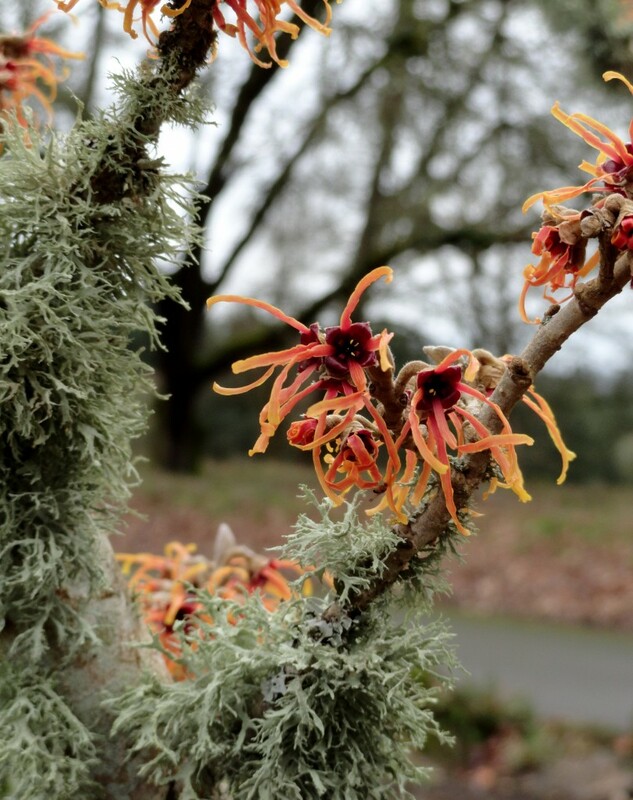 You may have noticed all of these photos were taken at The Oregon Garden. I had the opportunity to visit recently, thinking there wouldn’t be much to see beyond the conifer collection. Obviously I was wrong! So what about you? Love them? Grow them? Which one(s)? And when did you discover them? 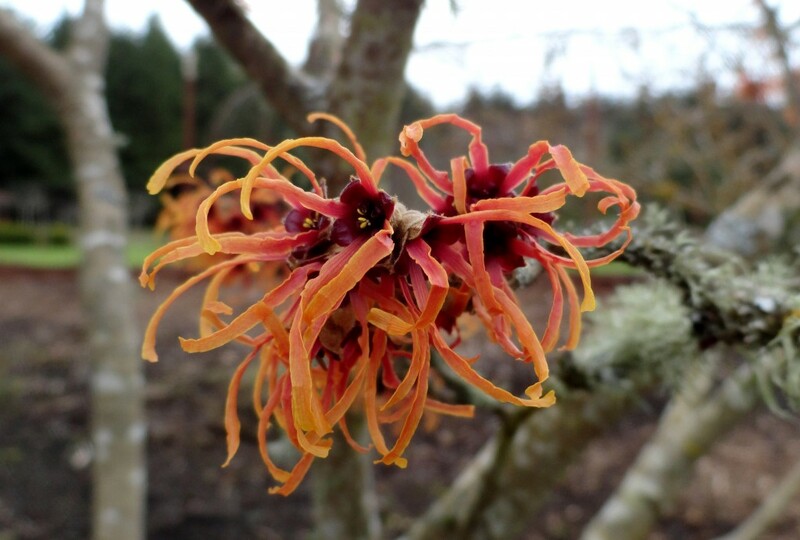 I’ll leave you with another quote from Michele Owen’s article, again from Scott Canning: “The first warm spell in winter, to see that thing in full bloom-it is really remarkable,” he says. 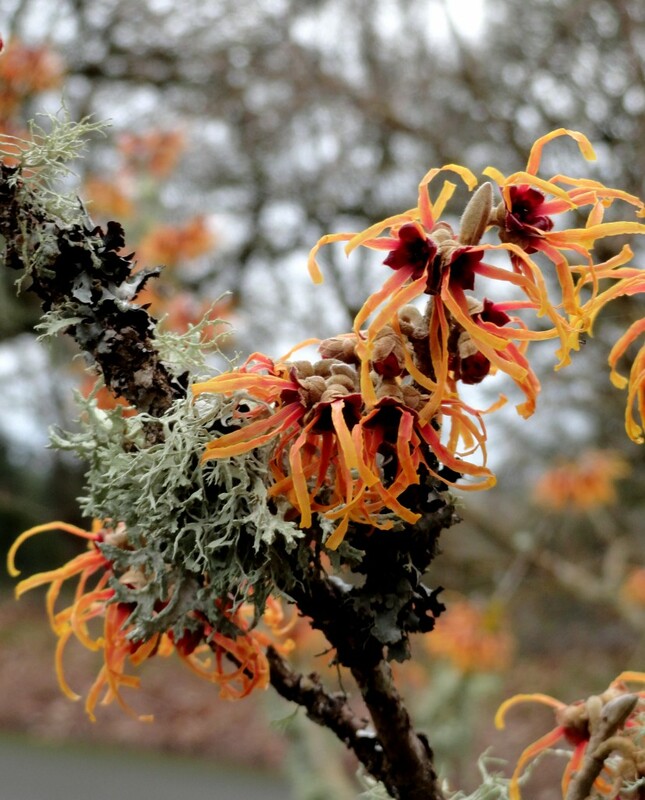 “Witch hazel is the plant of hope.” The plant of hope, I like that.